Our broad range of bulk tanks with volumes varying between 1000 and 18,000 litres, different filling system options, underground tanks and heating elements allow us to provide the perfect solution in every situation. From small-scale domestic use to demanding drying systems: we will be happy to find a great solution for your specific situation. We believe in the added value of our custom solutions! Have you been looking for a solution for the propane tank in your garden for years? It’s time to enjoy the advantages of an underground propane tank! Benegas offers the option of installing your tank underground. It’s an ideal solution for a gas tank in your garden. You can enjoy the view and the greenery in your garden again. Naturally, we take care of the entire installation as well as the maintenance; we will even signal when you need a new supply of gas. Benegas helps you relax! Want to know more? Contact one of our area managers directly or complete the form at the bottom of this page. 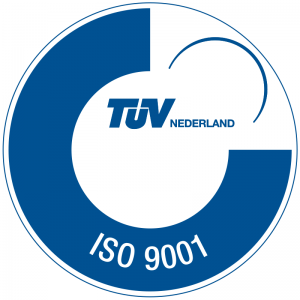 BeneGas is ISO 9001 certfied by TüV Nederland. We comply with the set quality and reliability requirements. Therefore, you are assured of a quality product and reliable service.